At The Dental Center at Easton Town Center, we work diligently with every individual patient to help them achieve their ideal smile. For many patients, the perfect smile might be accomplished through Invisalign’s clear plastic aligners. Very simply, Invisalign is an effective treatment for an array of orthodontic problems or abnormalities. As an alternative to traditional braces, Invisalign can be used to treat dental conditions as moderate as nonalignment to issues more complex like tooth decay, jaw pain, gum disease, bone loss, or tooth erosion. Because Invisalign is so versatile, it can be used for cosmetic and more medical problems. FInvisalign is a customized solution to many different kinds of problems so it can be used for just about any kind of case. Many adults prefer Invisalign to traditional braces because it is far more inconspicuous. These clear plastic moldings do not protrude or stand out like old fashioned braces so they are the far more attractive option. With the help of a qualified dentist, Invisalign may be used by people of all backgrounds to help achieve the perfect smile. Better than braces, Invisalign is a smart option for just about anyone looking to correct their teeth. Traditional braces are both uncomfortable and unsightly. Until Invisalign, any person that needed their teeth aligned had to use this less than ideal option. Invisalign has transformed the idea of correcting minor gaps and crookedness, overcrowded teeth and over and under bites by making the entire process more attractive. 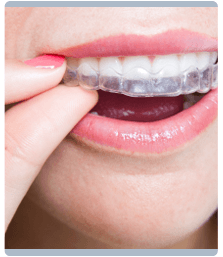 Invisalign completely takes the embarrassment out of having your teeth corrected but that is not the only benefit of it. There are very limited dietary restrictions with Invisalign so you can continue eating what you want to eat. Beyond that, the results of Invisalign can potentially last longer than the results of traditional braces. 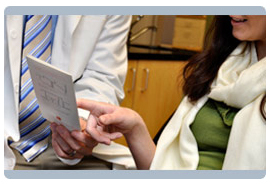 Getting your teeth aligned at The Dental Center at Easton is one of the simplest ways to improve your smile. Call our office today to learn more about Invisalign in Columbus OH and set up your appointment.